Philip H. Barron Realty's Dogtown apartments in St. Louis, MO are one of the best choices for both students and working professionals. Our rental properties offer quick and convenient access to all St. Louis major highways. This historic neighborhood is a short distance from Washington University and Fontbonne University. Our apartments in St. Louis' Dogtown neighborhood are within walking distance to Forest Park, which is known for its many major attractions such as the World's Fair Pavillion, The Steinberg Skating Rink, The St. Louis Zoo, The Muny, and much more. Dogtown is home to a variety of well-known restaurants and bars such as Seamus McDaniel's, Felix's, and Olympia Kebob House. This area is also famous for its annual St. Patrick's Day parades. People travel from all over St. Louis to join in the festivities. 6716-22 Clayton Avenue and 1010 Hi-Pointe (zip code 63117) are located just east of Skinker Road and within close proximity to Highways 40 and 44. 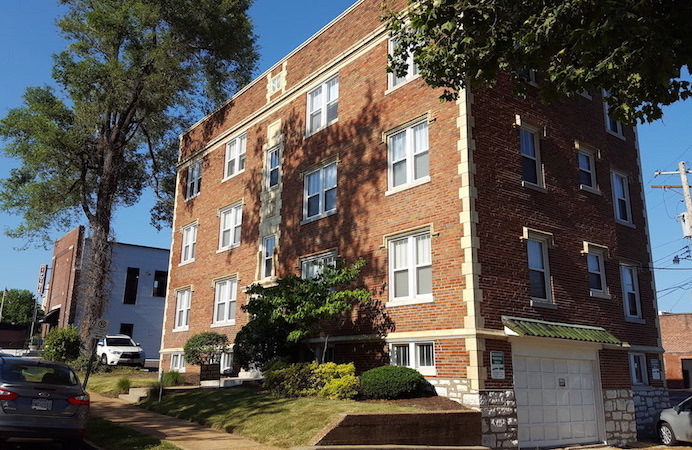 These Dogtown St. Louis, MO apartments offer a very convenient location for work, school, and play!